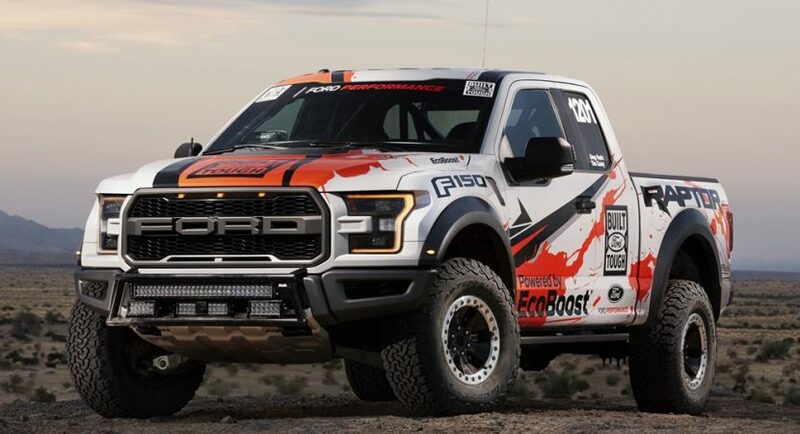 Even if it has plenty of competitors from the likes of RAM or GMC, Ford has created the perfect pickup truck designed to tackle the toughest endurance tests in the world, and that is no other than the 2017 Ford F-150 Raptor. In case you want to test out the 2017 Ford F-150 Raptor and see how tough it is, then you take it to the Baja 1000 off-road rally course across the desert. It could manage a time of 35 hours, 59 minutes and 8 seconds, making it the third pickup truck to achieve such result in the stock class competition. Good things about the 2017 F-150 Raptor have been already spoken, the pickup truck coming with the latest racing mechanics and sheer performance under the hood, making it the toughest predator in the world. Performance wise, the 2017 Ford F-150 Raptor comes with a 3.5-liter EcoBoost V6 engine, developing 450 horsepower and 510 lb-ft of torque, being sent to the wheels via a ten-speed automatic transmission. Besides the sheer power, the model also comes with standout features, like full off-road safety equipment which includes chromally steel safety cage, racing seats, full race harness, puncture-resistant fuel cell and much more. We will get back when we have the official video as the carmaker promised.